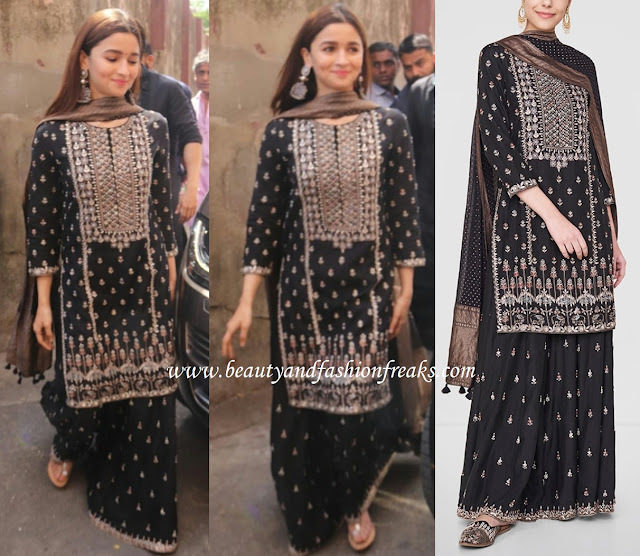 Alia sported an Anita Dongre black suit for unveiling a new song from her upcoming movie Kalank. Wearing her middle parted hair down, she rounded out her look with a pair of flats and silver earrings. Simple yet effective, the actor looked beautiful here! Alia Bhatt In An AND Dress: Yay Or Nay?